Learn some crucial tips on creating an effective natural hair care routine. 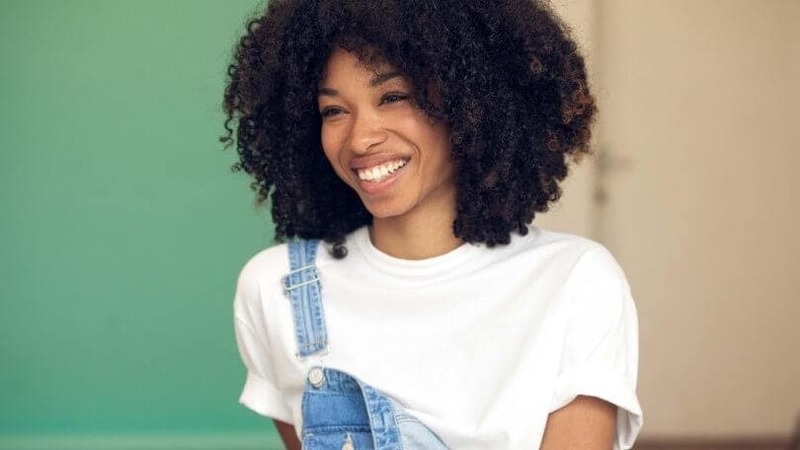 You either currently have natural hair and you’re seeking a change to your natural hair care regimen, or maybe you’re wondering how natural hair can be maintained on a day-to-day basis. We’ve heard it all: It’s hard to keep it up, it’s challenging to find products that work, or that natural hair isn’t for everyone. Don’t let this deter you from what you want to achieve with your hair—it’s yours! With the right natural hair tips, you can take care of your own hair with ease. 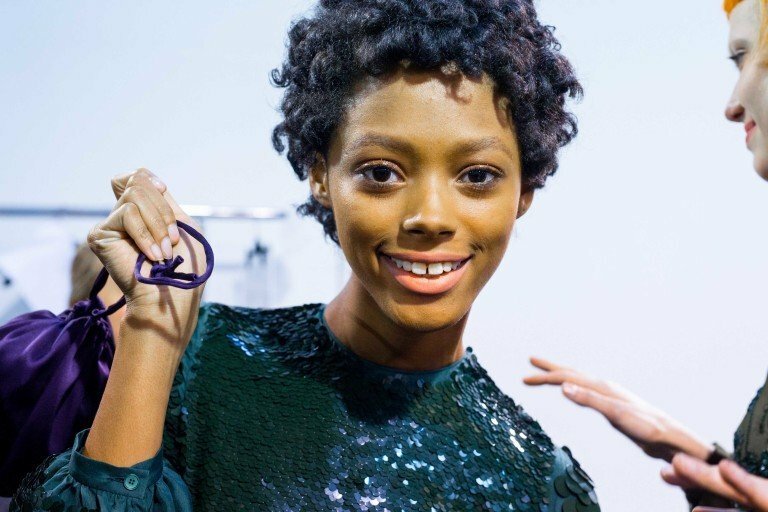 When building a black hair care routine, the first thing you’ll need to realize is one simple rule: No curl is created equal. There are different natural hair curl patterns. Also understand that your texture will likely differ from your besties. We all have beautiful heads of curls and need to take a unique approach to their care! 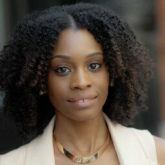 Let’s move on with some simple natural hair tips to help you build your regimen. Tip 1: Cleanse your hair weekly or bi-weekly. One of our top natural hair care tips is to know how your hair reacts to hair washing. As a rule of thumb, it is best to wash natural hair types every two weeks as the hair is naturally dry. However, this may change based on your hair type. You may opt for washing your hair once a week or even twice a month. Many naturals are on the fence about shampooing and whether they should use a sulfate-free shampoo or not. What do you do in this case? The answer: It’s your hair, do what suits you. 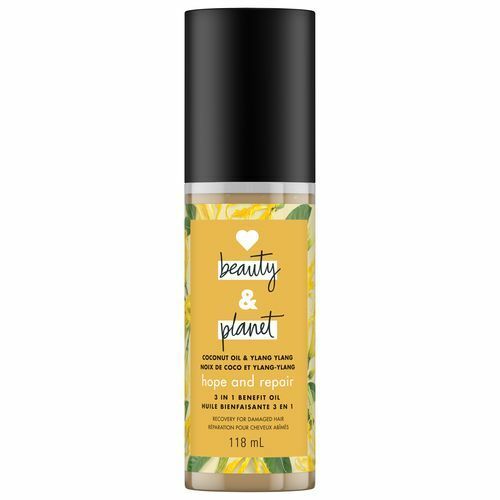 You can use a cleansing conditioner like Love Beauty and Planet Purposeful Hydration Cleansing Conditioner. Shampoos work to cleanse and get rid of grease and oil from your hair and scalp. 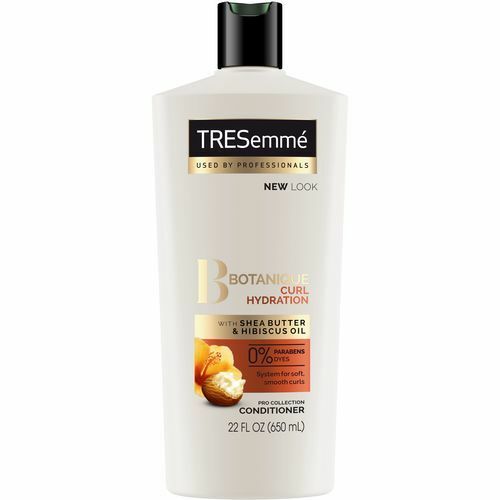 Try TRESemmé Botanique Curl Hydration Shampoo, which is formulated specifically for curly hair types. Those who co-wash their natural hair using a traditional conditioner should cleanse their hair at least once a week with shampoo in order remove grime as well as residue from hair products such as daily styling products. Curly hair craves moisture, and conditioning your hair is the best way to replenish and hydrate your strands from moisture loss. Be sure to condition at least once a week to reap all of the hair benefits your conditioner has to offer. Be sure to focus on any dry areas, especially the ends of your hair where your hair is the driest. 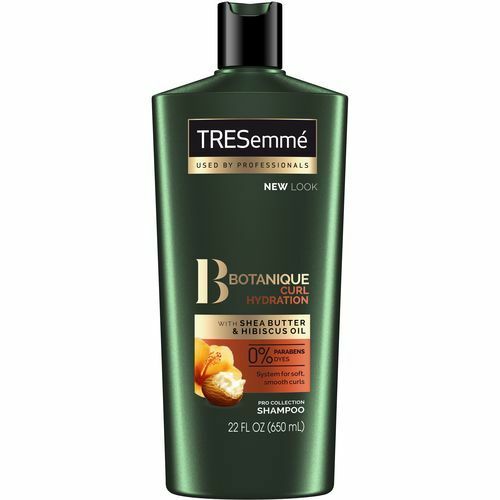 Add TRESemmé Botanique Curl Hydration Conditioner to your natural hair care routine. Tip 3: Detangle your hair. A good conditioner will leave your curls feeling soft, quenched and, well prepared for the detangling process. You may opt to detangle while the conditioner is still in your hair as it helps to provide slip, making the detangling process that much easier. Detangle hair using with conditioner in it or while under running water using a wide-toothed comb. The water helps loosen up the strands. If you don’t have a wide-toothed comb, use your fingers and don’t substitute for a fine comb as it will create tension and may lead to pulling out some of your precious curls. Tip 4: Apply deep conditioner or a hair mask. For an added boost of conditioning, you’ll need to add natural hair treatments into your routine. You can simply apply a deep conditioner or hair mask after your conditioning process, or in lieu of it. Deep conditioners and hair masks help nourish and restore your curls. Sometimes your curlicues deserve a special treatment. Along with restoration and revival of your curls, many deep treatments help prevent frizz since they penetrate the hair cuticle, helping to define curls and hydrate the hair. Attention, natural hair transitioners: You may want to do this step weekly, as your hair is super fragile during your transition. You want to make sure the hair, especially the demarcation line that separates your chemically treated hair from your natural texture, is always handled with care. This part of your hair is very weak. Weekly treatments will help to strengthen the hair, making your transition much easier. For more natural hair tips on how to have a seamless transition to natural hair, use our guide. Tip 5: Use leave-in conditioner treatments on a weekly basis. Leave-in treatments are optional but beneficial to your hair care routine. Many leave-in treatments and conditioners provide slip as they moisturize and make your hair more manageable and easy to detangle. If you skipped the detangling step while conditioning, you can slide it right back in during this step. 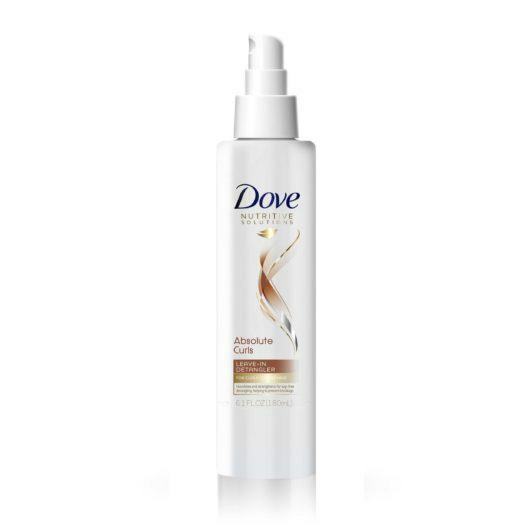 Apply a leave-in conditioner like Dove Absolute Curls Leave-In Detangler and detangle with your fingers or a wide-toothed comb. Detangled hair allows for a no-fuss styling routine. Tip 6: Style weekly or as needed. There are many different natural hair tips for styling, it’s best to stick with what you’re comfortable with if you want to keep it simple. Wash and go, twist out, braid out, high puff—whatever your heart desires, try it. Make sure to use an oil-based product or oils like coconut and almond during the take-down process of your braids or twists or while styling the hair to prevent any unwanted frizz. Tip 7: Moisturize and seal daily or as needed. Water is your friend when it comes to moisturizing dry natural hair. Some curly girls may not need to moisturize daily, while some may need to do it every other day. Whenever your hair feels dry, just add some moisture. You can simply do this by spritzing water onto your hair or using a daily moisturizer. Seal your moisture in with an oil, which helps trap in the moisture you’ve added to your hair. 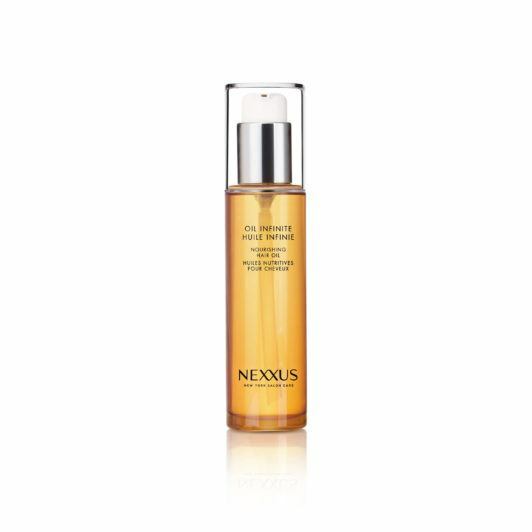 Try out Nexxus Oil Infinite Hair Oil for added nourishment, or use Love Beauty and Planet Coconut Oil & Ylang Ylang 3-in-1 Benefit Oil as a post-wash aid for alignment and smoothness of hair. More tips on our natural hair care page! Best Deep Conditioner for Black Hair: How to Find The Right One?